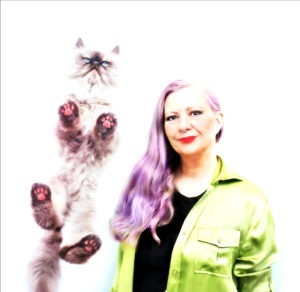 A special updated post from our archives from the original feline muse, Merlin. It’s Mondays With Merlin, here to tell you about a cat vet trip. 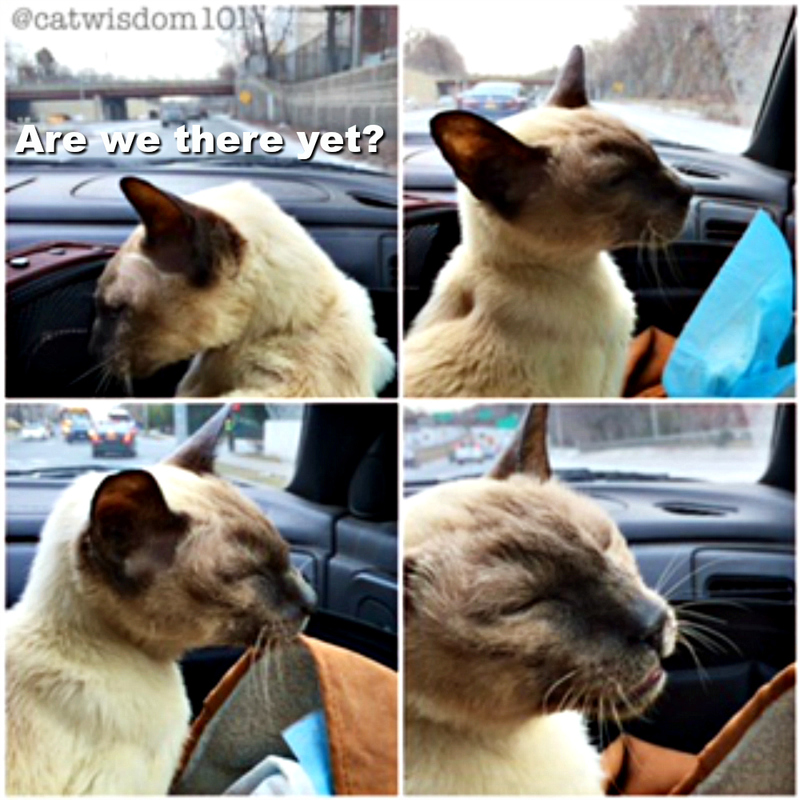 Not just any vet trip but my trip to a veterinary dental specialist. It’s Pet Dental Month (click for good tips). Updated 2019. When you get to my age, 21, I’ve seen just about every kind of vet there is. For a good chunk of my life, I’ve had mobile vets or home visits with visits to clinics in between. Most specialists don’t make house calls unless you’re a famous movie star. Even Grumpy Cat sees her local vet clinic. That means traveling in a car or other vehicle. It’s noisy and bumpy and discombobulating especially if you’re blind like me. My sight gradually vanished (no pun intended) and I don’t mind a short car ride on quiet streets but not the HIGHWAY on the COLDEST day of the year. I have zero, maybe sub-zero body fat and sure, they heated the car and wrapped me in a blankie but someone couldn’t find the plug for the heating pad of my SleepyPod. And I hate being in enclosed spaces so Layla removed the carrier top. I like to watch the blurry movement but it’s NOT safe. Normally we sit in the back seat all buckled up. The unsafest thing is to hold a pet on your lap on the front seat. No matter how tightly your human thinks they’re holding on, they will let go in an emergency. If we had to come to a sudden stop, I’d smash through the window. Well, I’m too light to break the window so the window would probably break me. A heavy cat like Domino or a big dog would smash a windshield easily. Not a pretty picture. We suggest using a pet safety harness or using a carrier which can employ a safety belt. So after an endless journey (20 odd minutes) and the annoying voice of Miss GPS we arrived at our destination. A nondescript building of the renowned Dr. Thoulton Surgeon, a veterinary dentistry pioneer. He’s as old school as it gets with 50+ years of experience under his belt. The place isn’t fancy but you just know you’re in good hands. I was glad Dr. Surgeon (yes, it’s his real name) arranged to see us at a quiet time with no other pets around. Special delivery. Merlin is in da house! They don’t even have a website but Dr. Surgeon is semi-retired and busy as he wants to be. He still lectures but you won’t find him on a reality show any time soon. I kind of wish he would be more out there. Wisdom needs to be shared. Note: Dr. Surgeon has retired and there has been a deluge of vet pet shows on TV. I didn’t have to wait more than two minutes before being whisked into the examining room. Good thing I’m blind because the sight of a counter full of skulls may have scared me. It turns out Dr. S. is also a specialist in veterinary dental orthodontics. I used to think pets just got dental cleanings and extractions but he does root canal, laser surgery, implants just like human dentistry. Who knew? There were weirdly fascinating examples of teeth with silver dental crowns and what not. Mostly dogs and I confess to being happy to be spared surgery. The doc thankfully was not scary but super laid back. He did something I’ve never seen a vet do. After being placed on the examining table, he stood back a good ten feet away, chatted with Layla and Joe about me while observing me. Usually examining rooms are small but this one was huge. I wasn’t about to leave the security of my carrier but I guess he wanted to see what I’d do. He also used no restraint to open my mouth. It was as if I was butter in his hands. That’s a real pro. He gently examined me and listened to my heart. The heart is one the most important factors in determining whether a cat is a good candidate for anesthesia and surgery. Oh, and the funniest thing is the vet is allergic to cats! The sad truth is periodontal disease contributed to my kidney disease. By the time I was diagnosed with CKD, our vet felt it was too risky to administer anesthesia for any dental procedures. That was five years ago when my sister died of CKD. No one expected me to live this long. And by the time we saw another vet who disagreed with the first vet, we thought it was too risky at that point. Needless to say, Dr. S. agreed. We were there for a second opinion about dentistry in general. Our current vet, Dr. P. (she has since retired as well) is so gung ho and positive, Layla feels she’s too encouraging. She said I have a very strong heart but Dr. S. thought otherwise. Mind you, it was speedy from the stress of the car ride. 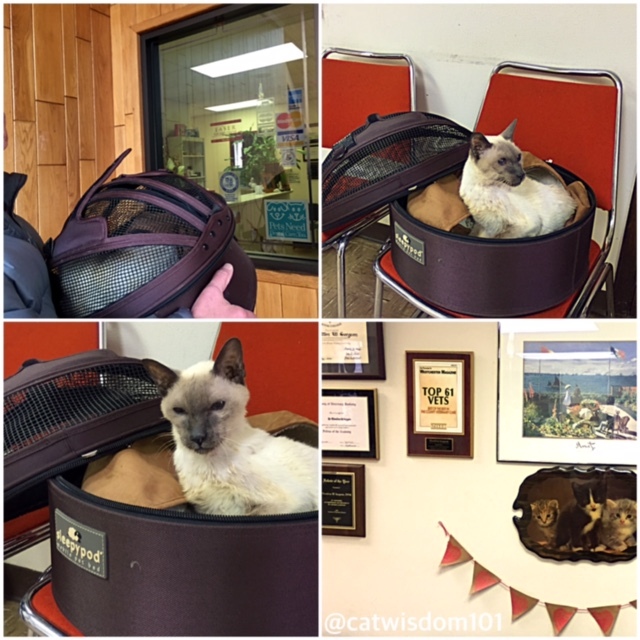 I felt fine in my carrier and did not like being examined on the hard nubby surface of the examining table. It’s a fancy hydraulic contraption suitable for large dogs. No wonder my heart was racing. 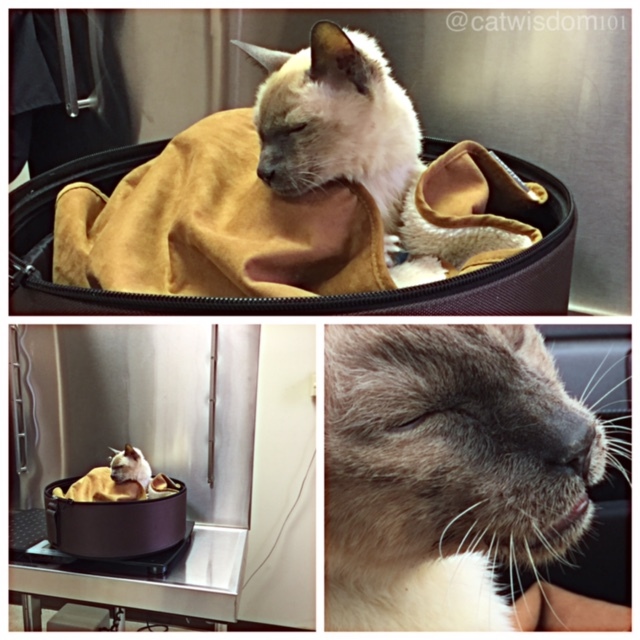 The bad news is Dr. S. confirmed I am in hospice care and he was not happy both of my other vets prescribed a low-dose of baby Aspirin for pain management. He does not suggest opioids like morphine but suggested Gabapentin. For more info on feline pain relief, the dear doctor wrote an article on the topic. I must say, the gabapentin did something for my arthritis because I’m walking more spritely. It’s all about the remaining quality of life and Dr. S. was frank about what direction I’m heading in. We didn’t expect any miraculous news but having a second or third opinion is useful when there are doubts and a consensus is needed. Pet parents aren’t always on the same page about cat care, treatment or end-of-life decisions like euthanasia. When in doubt or if a spouse is not in agreement, consult a veterinarian or two. Also, strip away denial and observe your pet as they really are and not wishful thinking. Tune in and keep asking, talking, COMMUNICATING with your cat. We don’t always talk back but we hear every word. 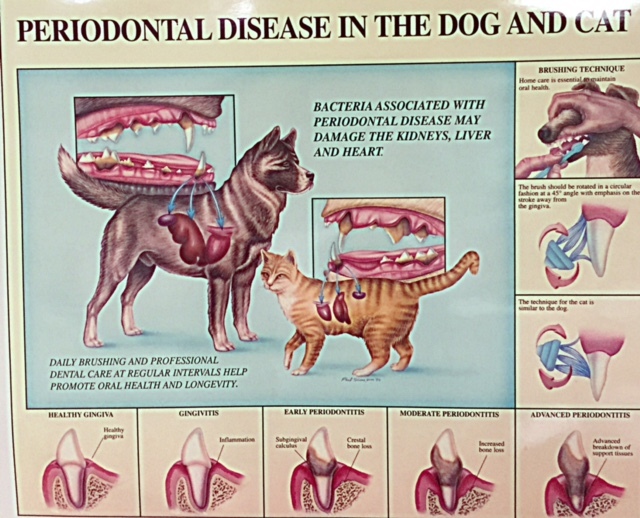 I will continue to let you know about my latest adventures and please consider taking your cat to a dental specialist. 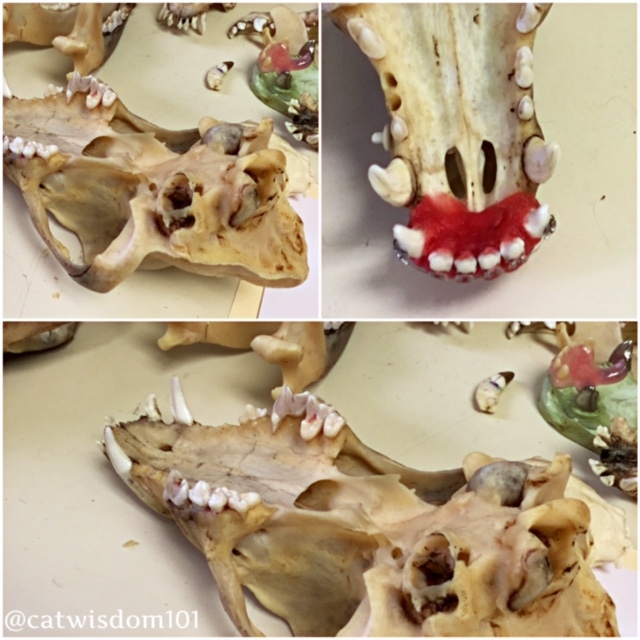 How are your cats’ teeth? If you’ve been to dental specialist one, let me know what happened. This vet is impressive and must love his work to have had 50 years in. He doesnt sound scary at all and it sounds too you had a good experience with him. The vet we use is very old school…. not fancy and very realistic. I have always been one for hope but I like the truth. I also detest having treatments given that are too painful or risky. I like the shoot straight from the hip approach. Hospice can be a good thing. It’s a time to be as alert and present as you can be, but, there is no pressure. I am glad the Gabapentin is working, and youre not as stiff or sore. Thinking of you daily Merlin, and sorry I am running behind. Human stuff keeps happening…. dropping by to see if this weeks Monday post is up. Today is Monday with Merlin, but hopefully Layla is sleeping still! We are very lucky to have a great vet. We’ve never been to a dental specialist, but would totally go if we needed to. (We HAVE been to specialists, just not dental ones). Hugs and purrs to you, Merlin. And to Layla, too! Thanks dear ones. You are lucky cats indeed. Dr. Surgeon (what a great name!) sounds like a wonderfully caring vet. It’s good hear that he found you an additional pain management option, too. There are far too few of those for kitties. You look very good Merlin, your vet sounds very good. I was always told any dose of aspirin is a no no for cats, so I’m glad you are off it. I took Gabapentin for my Fibromyalgia. I bet you’ll feel better. Thanks, so much, so did the Gabapentin help you? 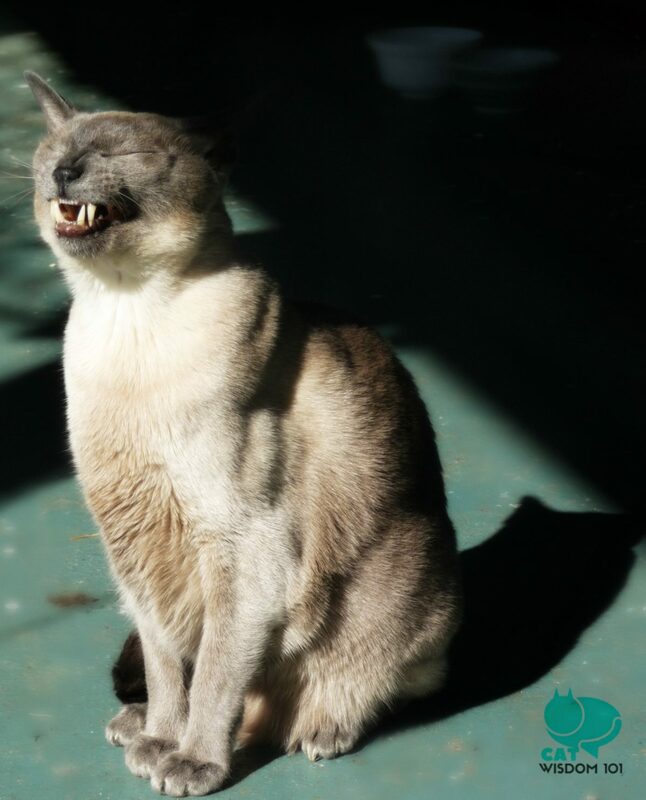 We’ve been lucky that any teef issues we have had have been handled by our regular vet. But if we needed a specialist, she wouldn’t hesitate to take us to one. DR S sounds very wise, like you Merlin. We always keep you in our purrs. Sounds like a kind and caring vet. Big hugs to you. Big hugs back Miss Sue. Dr. Surgeon sounds like a wise man. Did you mean the aspirin has helped your arthritis or are you now taking Gabapentin? I pray for you daily and hope you have many more good days. The photos of you in your carrier came out great. Thanks Ellen, the Gabapentin is helping. Hi Merlin! We are sorry to hear that you are nearing the end, but we take comfort knowing that your humans are doing everything they can to make you comfortable. Have you tried Adequan injections and/or Cosequin (a powder you can sprinkle on food) for your arthritis? Those may provide additional pain relief for you. Gabapentin is a good pain medication, too, and I am glad it is helping! We send you and your humans love, purrs, prayes, and hugs. Please tell Layla that she can always message or email me if she needs/wants a friend to talk with. Thanks kindly. We do use Cosequin. Mewow it sounds as if Dr. Surgeon is the human equivalent to you when it comes to being wise, dear nephew. Thank you for sharing this important information as dental care is important and can be literally a matter of life and death. We almost lost Ms. Phoebe and her sister Černy to stomatitis years ago, but luckily both were strong enough to have surgery and after the removal of teeth were fine. It is a horrible disease I wish on no kitty or their pet parent to have to go through! I’m not surprised Dr. S recommended Gabapenten as it is a great pain reliever in humans and animals. Our angel woofie sister Sophie was prescribed it for her cancer leg pain while hospicing at home in December and we have a family friend who suffers from a horribly painful mouth disorder called Trigeminal Neurolgia, who is prescribed large doses of Gabapenten for his pain. Doctors also often prescribe it to amputees to help with phantom pain, so it is a miracle drug for many without the side effects that narcotics can have. What a handsome mancat you are in your photos- at twenty one you are still causing the ladies to swoon! I am glad you are hanging in there, living life to its fullest each day being an inspiration. You rock Merlin! Thanks Auntie for your sweet message and I agree, I look pretty good for an old coot. Dr. Surgeon sounds like a wonderful, kind, old school vet but with a great deal of modern knowledge and equipment. I think sometimes even vets get caught up in the don’t give up mentality. We keep rooting you on dear Merlin!!! We send purrs and prayers for your continued health and well being. Dr. S. does sound like an excellent dental vet. I do wish the best for Merlin, who’s been so amazing through everything he’s been through and is going through. Hubs lost a cat years ago from Boston’s main animal hospital, because the cat died from over anesthesia. Difficult to tell the correct dose when a cat is large and old. Wow, I wonder what dose of aspirin works. Get the script from the doc? He found an all natural serum and asked our son to ask his Chinese girlfriend about the ingredients. The girlfriend asked her Chinese mother, who said the ingredients are very good. Hubs is so slow on everything I worry about time passing. I have to tell hubs to hurry up and do everything the vet recommended. He drags his feet on everything. Mao seems normal, but you never know what’s up with some cats. Hubs is simply in denial about all reality. He. Just. Doesn’t. Realize. Anything. Glad that you’re receiving such good care. Best wishes. Dr Surgeon sounds like a great and caring vet. I am surprised that your other vets put Merlin on Aspirin even though it is a low dose. When I worked for a vet many years ago, one of the things he impressed on us was never to give aspirin for cats. It may be that there was not a low enough strength pill back then, I don’t know, but it is one of the things I have always remembered. I am glad he has suggested something different. Flynn has a small slightly inflamed patch of gum above one tooth but our vet is also loathe to anaesthetise him because of his hyperthyroidism. I now rub his toothpaste on his teeth and gums with my finger rather than use a small brush. It is a case of watch and see if it gets worse. Dr. Surgeon sounds like a great vet, who gives out very wise advice. My human has been around to several vets in our area, but has never found one she really thought was amazing.